I have followed Armenia for over ten years. And yet, the latest local elections have really surprised me. 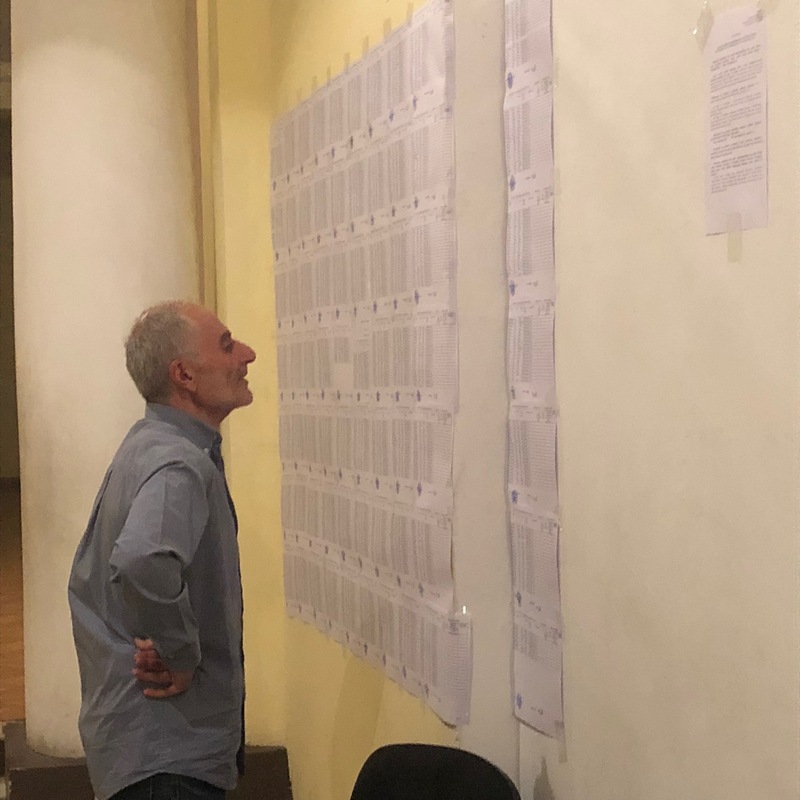 As Robert Revazyan walks restlessly about in the election observation headquarters of the Armenian Helsinki Committee, he checks the hotline phone for the third time in just as many minutes. It is fully charged, and the sound turned on, it is just that no one is calling to ask him for advice. No election observers, no voters, no journalists. “This is the most boring election I ever have been a part of observing,” he says. “It’s fantastic,” he adds with a big smile. 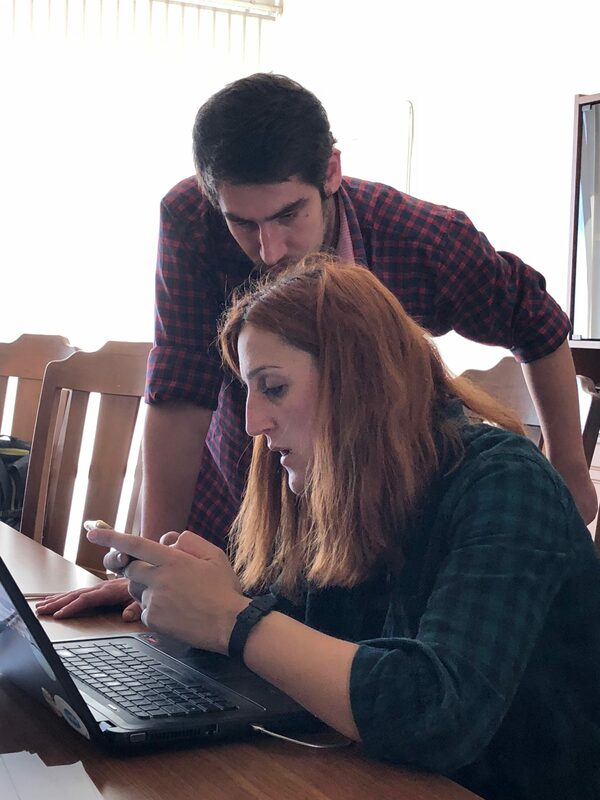 For the many domestic election observers in Yerevan, the atmosphere is good, yet unusual during the elections for the capital’s new mayor and city council this Sunday. 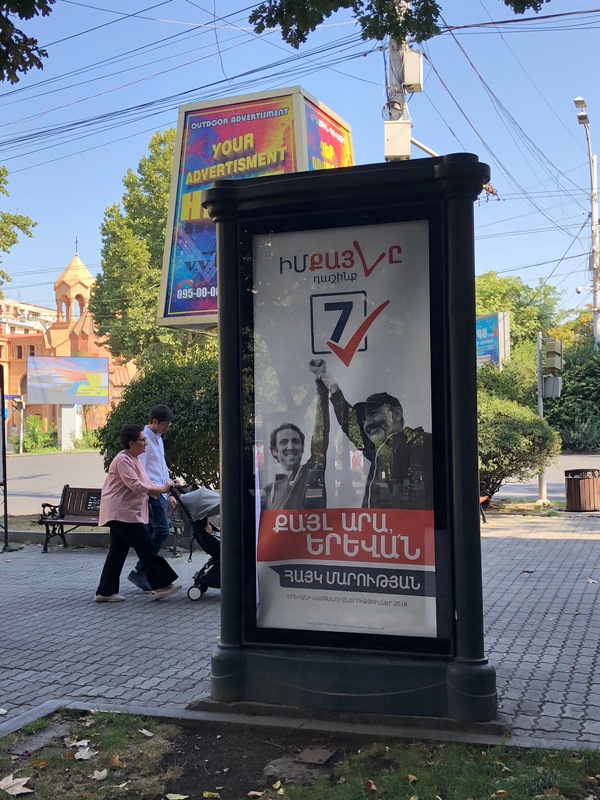 After extensive peaceful mass protests that toppled the Prime Minister of Armenia in April, then the mayor of Yerevan, few weeks later, elections were called for city council and mayor of Yerevan. Would this lead to further unrest, or has Armenia really changed as much as it seems? Usually, the phones are constantly ringing. In such cases, the observers who are out in the polling stations call for guidance or immediate physical assistance at the location. Voters report about problems, and the press calls to receive comments to all the breaches documented by the observers. The phones usually go warm, providing no time for the headquarter staff to update social media as violations happen, or even to eat. This was the case during city council elections taking place just over a year ago. However, this is not the case this time. Yet, this year everything has gone calmly. The observers see people coming to the polling stations by themselves, without being intimidated by men equipped with name lists and telling. They document some technical challenges, and some family members who want to help each other, but only individual cases, and unsystematic. What creates the most reactions is that the Prime Minister’s party, which has the most popular mayor candidate, brings substantial amounts of pizza to the polling stations in anonymous, white boxes. Is it to influence the election commission and voters? Or is it simply so that people who spend the whole day at the polling stations can grab a bite? The independent journalists in Epress are also smilingly complaining about it being far too calm at work. They are used to having to elbow their way past men that intimidate voters, fight critical and patronizing election commission members for them to be allowed to perform their tasks, and try to get voters to express themselves freely on camera. Now, they have time to eat lunch and reflect on the question that is becoming more and more obvious: Has Armenia really changed that much only since the revolution in April? Whereas today’s election is geographically restricted to the capital, it is none the less an important indicator as to what direction the Armenians and the political elites have taken on a national level. 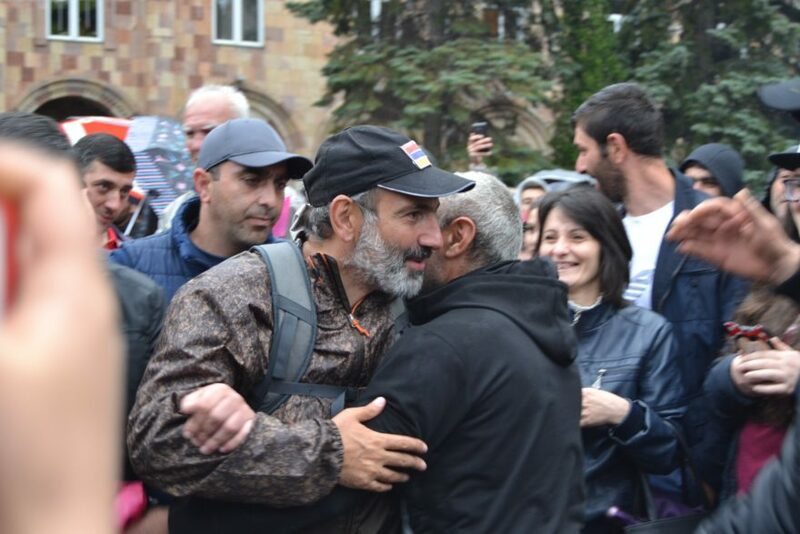 The leader Nikol Pashinyan was elected as the new Prime Minister by the parliament after the revolution. His party doesn’t have a majority, but other parties have switched blocks, members of the previous prime minister’s party have resigned, and changes have been made in central positions, for example within the police. A comprehensive process has been initiated against corruption, and several working groups with representatives from the civil society have started working on various reforms, including a new electoral law. The support to the Prime Minister is still significant, and his portrait and slogan on caps and t-shirts was just as popular amongst the street traders as the Armenian flag during the national day on 21 September. At the same time, there are accusations that things are not going fast enough, that corruption cases are only targeting political opponents, and that there aren’t as many women in the new government and state apparatus as promised. A recent violent assault on nine LGBTI persons was also not condemned by the Prime Minister, he did not even assert that this new Armenia is for everyone during his speech during the celebration of his 100 days as Prime Minister. Religious and sexual minorities do not get getter conditions, but tend to be pawns in the political game between the new government and its supporters on the one hand, and the former President Robert Kocharyan who has reappeared and polarized the discussion, on the other. 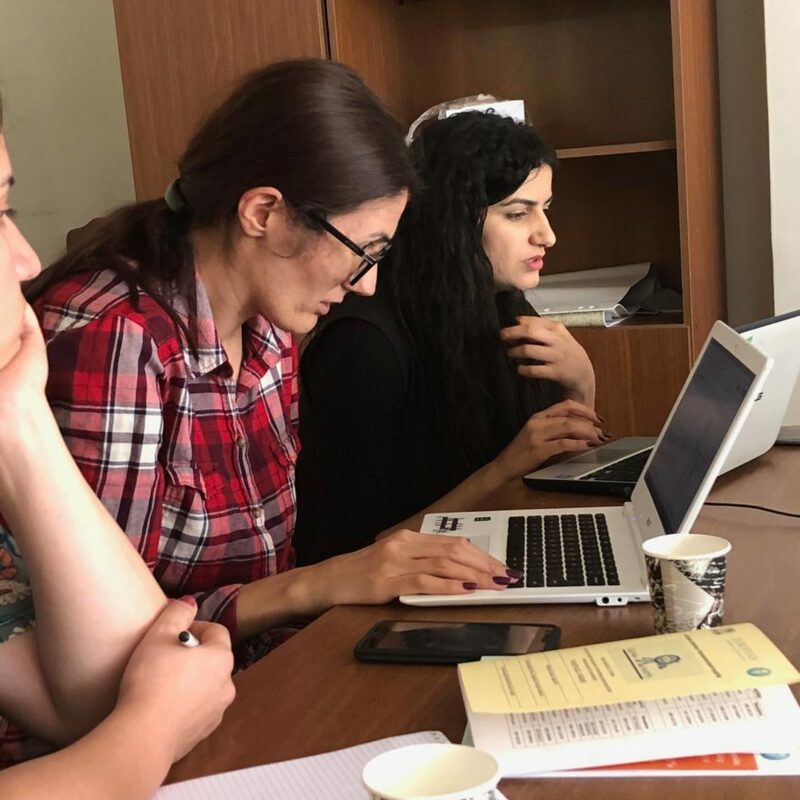 The accusations follow the argument that the new government and the civil society are threatening the Armenians’ so-called traditional values with their reforms, and the government finds itself forced to disprove this. For the civil society, it is difficult to pursue constructive criticism of the new government when the alternative is a wealthy former President with this kind of accusations and what is most likely Russia’s backing. For me, who have followed elections in Armenia for ten years, this is an almost unbelievable statement. Armenia has been a poor country with high unemployment and emigration, chronic corruption, and virtually no trust in governmental institutions. Votes were often sold both because voters needed the money and because their vote wouldn’t make any difference anyway. Suddenly, within a few months after the revolution, there are only separate messages about attempts on vote buying, and most surprisingly, trust that the election results are genuine. For me, who have followed elections in Armenia for ten years, this is an almost unbelievable statement. In what can be called free and fair elections in as good as all definitions, the candidate from Prime Minister Pashinyan’s party, Hayk Marutyunyan, received over 80 percent of the votes. During the previous elections in Yerevan, the turnout was officially 41 percent, now increased to 43,56 percent. This might not seem like much compared to for example Norway, but in a country where your vote did not count as little as seven months ago, and people were bussed to polling stations by various parties regardless of voting rights, this is an increase worth noting. In addition, the official number of 848,343 voters in Yerevan is very likely incorrect taking into consideration the extensive emigration, making the percentage even higher. Overall, both the election process, the absence of vote buying, the high turnout and the increased trust in the system accumulate to a massive step in the right direction in a very short amount of time. Now it is crucial that the new government, flanked by an overwhelming majority in the capital’s city council, takes their responsibility seriously and answers to the considerable trust placed in them. The civil society and the media also have important roles in using the new gained freedom to hold the authorities responsible. Constructive criticism has become more difficult because of the polarization underpinned by the former regime, but also because parts of the civil society now find themselves in power positions where they have to balance multiple considerations. But, the civil society is ready for the task. The effort during the mayor elections is a good indicator that they take their task seriously and do not automatically assume that everything about the new government is good. Finally, there is also a great responsibility on the shoulders of the Armenians themselves. 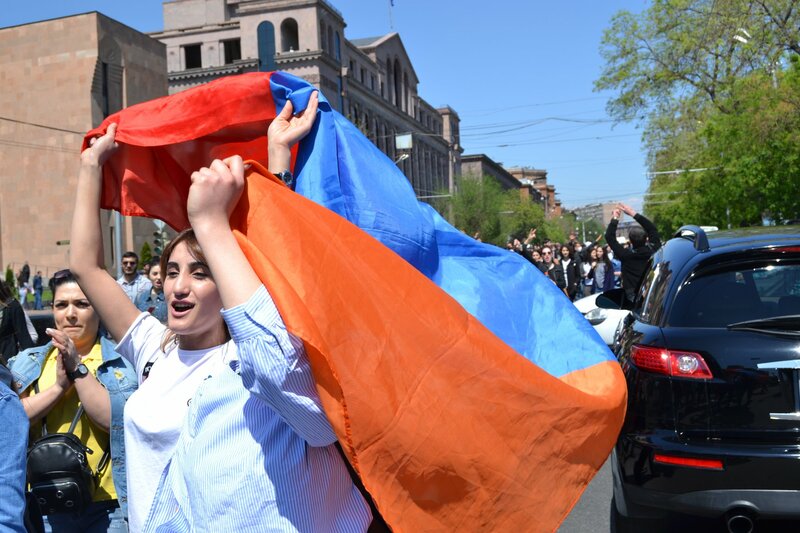 If Armenia is to become a democracy, the feeling that made people rise from their comfortable chairs and take to the streets during the protests and strikes in April must transform into active participation in several processes in society. 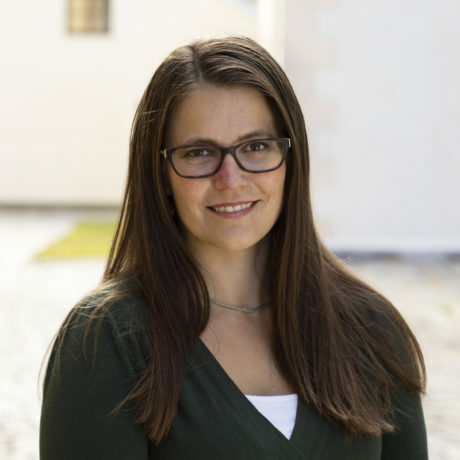 “The Norwegian parliamentary elections that I observed in 2013, showed that elections were about culture more than about legal regulations. 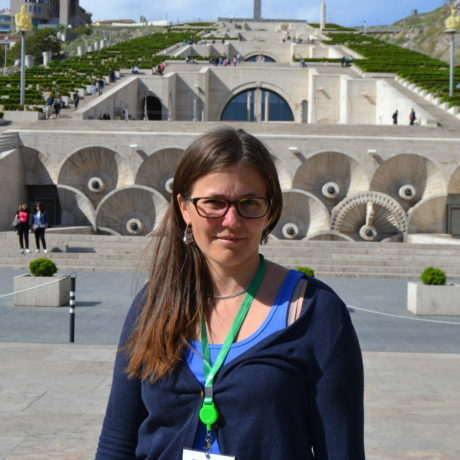 As we approached the election day here in Yerevan, I was anxious to see what the people would do”, said Vardine Grigoryan from the Helsinki Citizens’ Assembly Vanadzor, responsible for 230 observers and several coordinators, as everything was over Sunday night. “The hope we had with these elections depended not only on the political will, which was obviously there, but on every citizen to stand the temptations, which until now did not seem such a crime. And they did!”, she exclaimed. 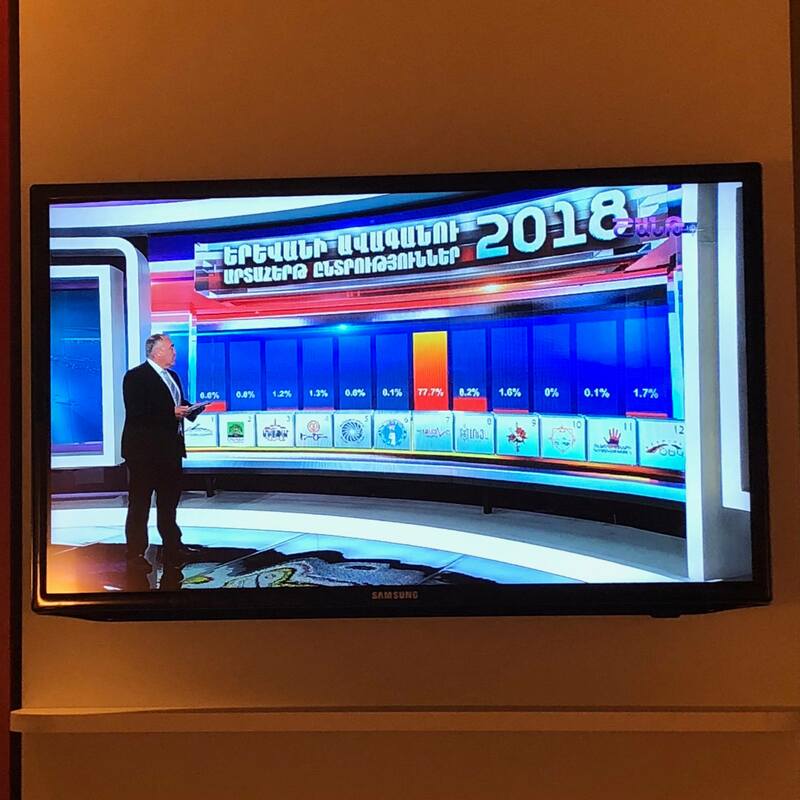 The work is far from over, but Yerevan’s elections were at the very least a good start, and an important vitamin injection both for the Armenians and for us who have been following the country closely for many years. “This is the first time ever I do not have a post-election depression. First time ever the people made their voice heard loud and clear,” concluded Vardine whilst getting ready to continue her work on the new electoral law reform as early parliamentary elections are approaching in a few months. 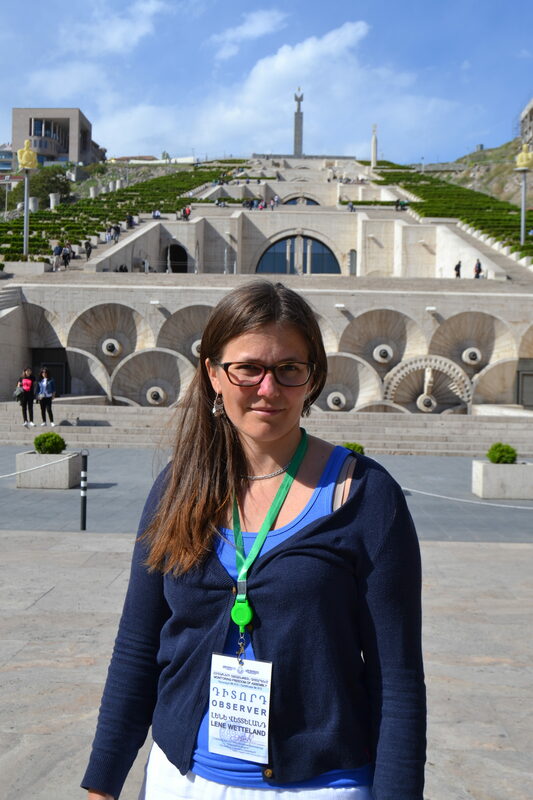 Read article "Raising Effectiveness of Protection of Citizens’ Rights in Relations with the Police"
Read article "Constitutional referendum illegitimate"